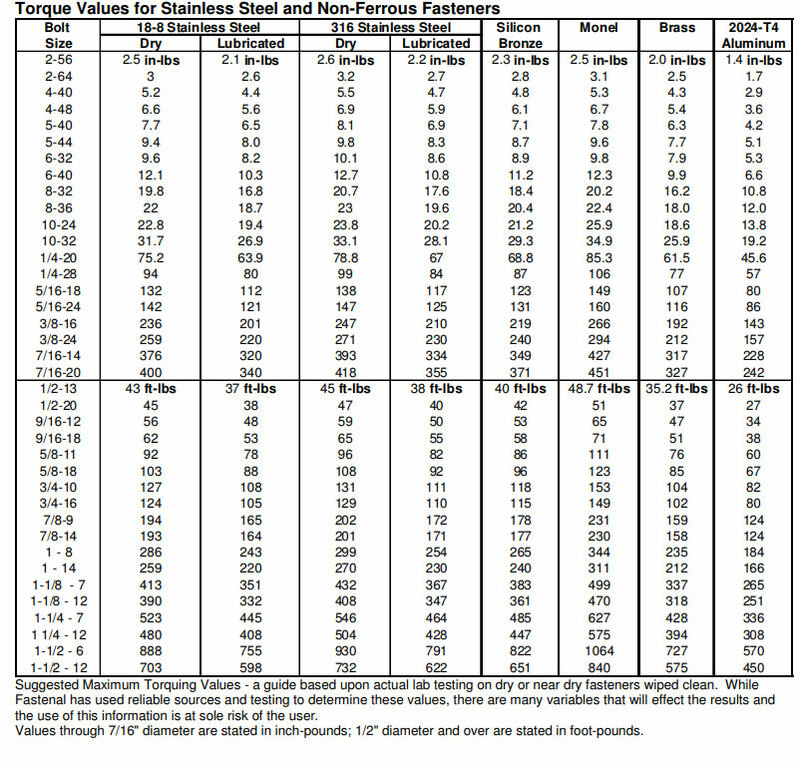 Recommended Bolt Torque Values for Stainless Steel and Nonferrous Fasteners (inch series). 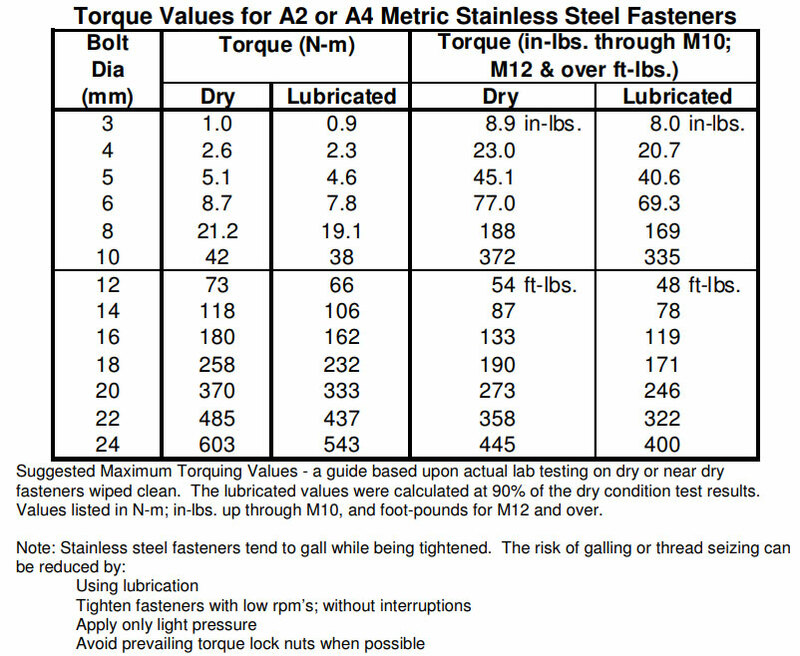 The following torque values are suggested maximums based upon actual lab testing on clean and dry or near dry fasteners. For other friction conditions, significant modifications may be required. Values though 7/16-inch diameter are stated in inch-pounds: ½-inch and over are stated in foot-pounds. Raaj Sagar Steels Has Been Manufacturing and Supplying Alloy 20 Fasteners Since 1975. With Over 43 Years Of Wide Experience In Offering An Extensive Array of Products For All Your Industrial Applications. Our Success Has Been Possible Through Excellent Service And a Commitment to Quality Unmatched in The Industry. We Are One of The Leading Industrial Fasteners, Stainless Steel Fasteners, Alloy 20 Stud Bolts, Hex Screws And Stainless Steel Bolts Manufacturer in Mumbai (Maharashtra) India.